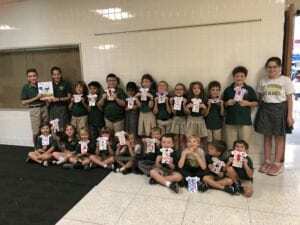 October 4th- Today we enjoyed one of everyone’s favorite characters: Pete the Cat! We read Pete the Cat and His Four Groovy Buttons by Eric Litwin and everyone enjoyed singing right along to the story. We made our very own tie dye shirts with groovy buttons and talked about story elements! 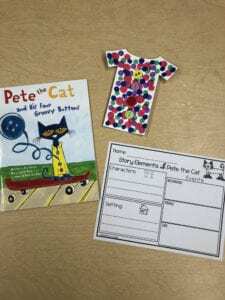 I can’t wait to visit Pete the Cat later in the year!